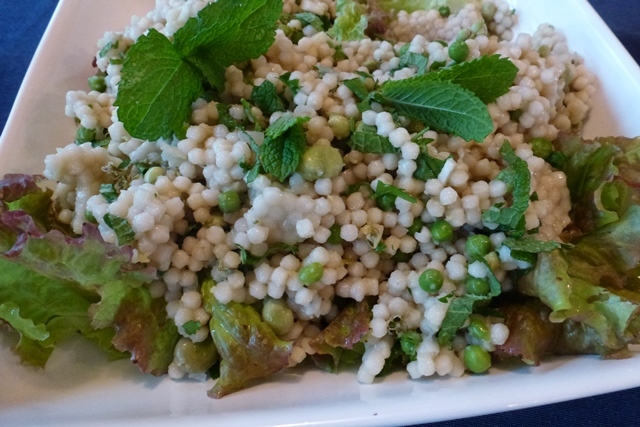 Broad Bean and Couscous Salad is my new favourite ‘go-to’ salad, full of new season broad beans, fresh spring herbs and chunky Israeli couscous. 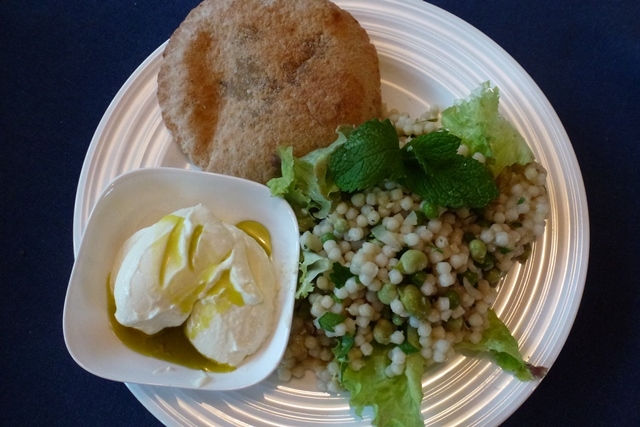 You can serve it as a light meal with garlic pita bread and some labneh or Greek yoghurt. 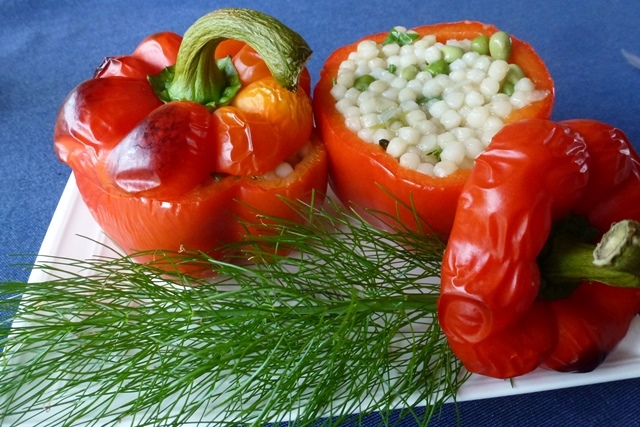 Any leftovers can be mixed with some feta and used to stuff capsicum for another tasty meal. 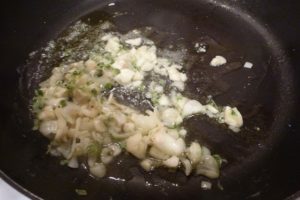 Melt the butter in a sauté pan and add the onion, garlic and thyme. 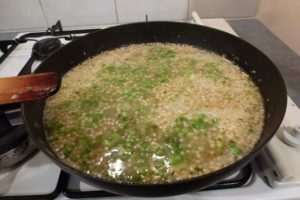 Cover and cook over a low heat until the onion is tender. 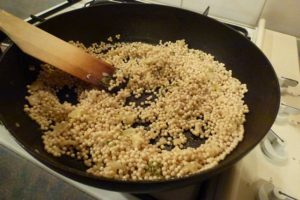 Add a pinch of salt and the couscous, turn up the heat and toast while stirring for 1-2 minutes. 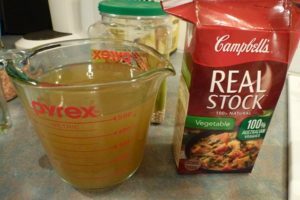 Add the stock and simmer while stirring for 7 minutes. 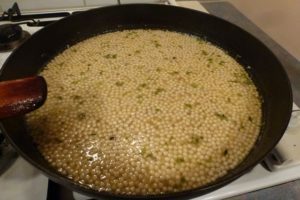 Add the broad beans and stir through. 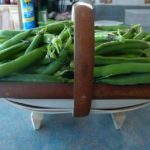 Turn the heat off, cover with a lid and leave for 10 minutes. 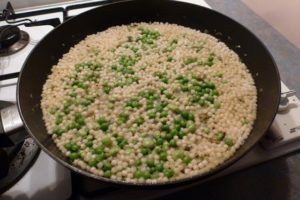 Cool the couscous completely, then fold through salad leaves and herbs. 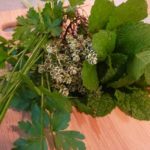 Scatter mint sprigs over the top and serve with spoonfuls of yoghurt or labneh.